Ready for real love without the headaches and the heartache? 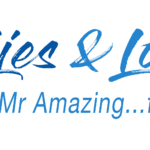 Truth, Lies and Love is all about helping women to find, attract and keep an amazing partner. Expert Elly Johnson guides you through the unique Find Your Mr Amazing…faster online program to help you boost your confidence, dodge the duds and the time wasters on the dating scene. The right partner for you is out there – don’t waste time with the wrong ones! Download free tips or get in touch for a free discovery consultation to uncover how Elly can help you get even better results in life and love and find your Mr. Amazing…faster!